Posted on August 8, 2018 at 1:10 am. The western India state of Goa is on its way to becoming one of the major players of the Asian gambling industry with new laws in the pipeline which would effectively end floating casinos. The international brokerage, Union Gaming, made the assertion after the Chief Minister of Goa, Manohor Parrikar, revealed the state would publish its formal regulations for the casino industry. This is to include the transfer of floating casinos to land-based venues. The move according to Union Gaming analyst, Grant Govertsen, is transformational; and will put India on the gaming map as the government is pushing for high-quality integrated resorts. Goa earns about $200 million in revenue from gaming. However this figure would jump significantly and Govertsen estimates the state would become a billion-dollar market with the integrated resorts. “[Goa] is growing rapidly due to strong demand on the heels of exceptional growth in domestic tourism,” Govertsen said. Govertson indicated the new regulations would be a great win for casino operator Delta Corp, which currently holds three floating casino licenses. 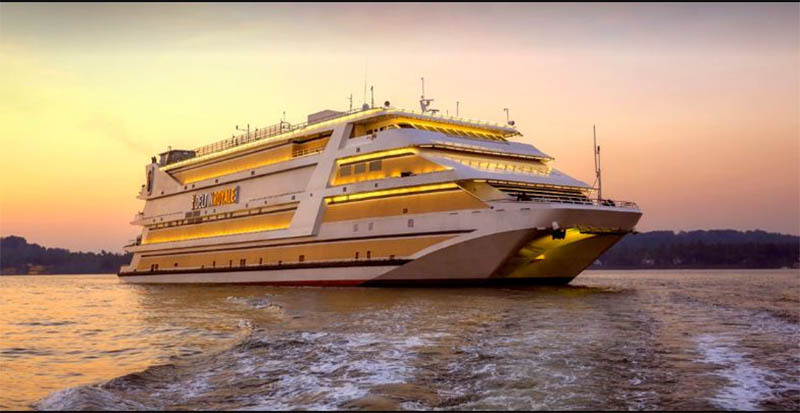 The analyst noted that the company would also have an edge over competitors in the state since the integrated resorts licenses will be given to operators with existing floating casino licenses as stipulated by the government. He revealed Delta Corp has purchased a site close to the Goa’s new airport, which is under construction. The company is now planning the site with a world-renowned Integrated Resorts architect. Delta Corp’s net profit increased astronomically by 85.7 percent to Rs 41.4 crores (US$7.67 million) in the first quarter of FY19 from Rs 22.3 crores ($4.13 million), within the same period last year. The revenue of its casino gaming sector also increased by 52.7 percent year-on-year to Rs 176.7 crore ($32.72 million).